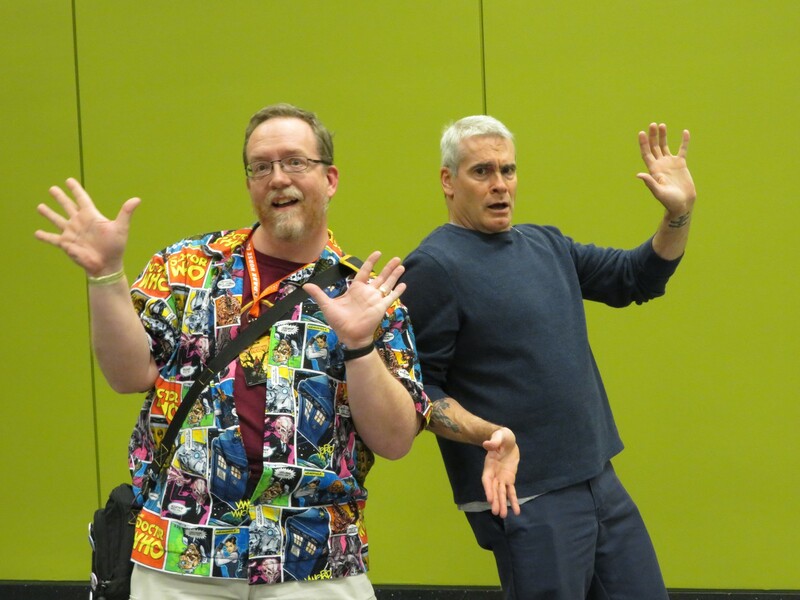 Our 2018 in Jazz Hands: Yet Another MCC Convention Photo-Op Gallery « Midlife Crisis Crossover! Of all the pics to lead with, of course I’m going with the one Instagram loved most, apparently one of the year’s best Tom Hiddleston photos judging by their reactions. Big thanks to Ace Comic Con Midwest for making this magically possible. Previously on Midlife Crisis Crossover: my wife Anne and I are big fans of geek/comic/entertainment conventions. Sometimes we shell out for photo ops with actors from our favorite movies and TV shows. If they’re amenable and don’t mind taking posing suggestions from a pair of eccentric fortysomethings shaped like two lumpy bags of potatoes, our favorite theme is jazz hands. We’re not dancers and we’ve only attended two Broadway shows so far, but we love the idea of sharing a moment of unbridled joie de vivre with anyone who’s game. We can’t remember which of us had the idea first, though the inspiration surely came from a few different possible sources we share. So it’s our thing now. 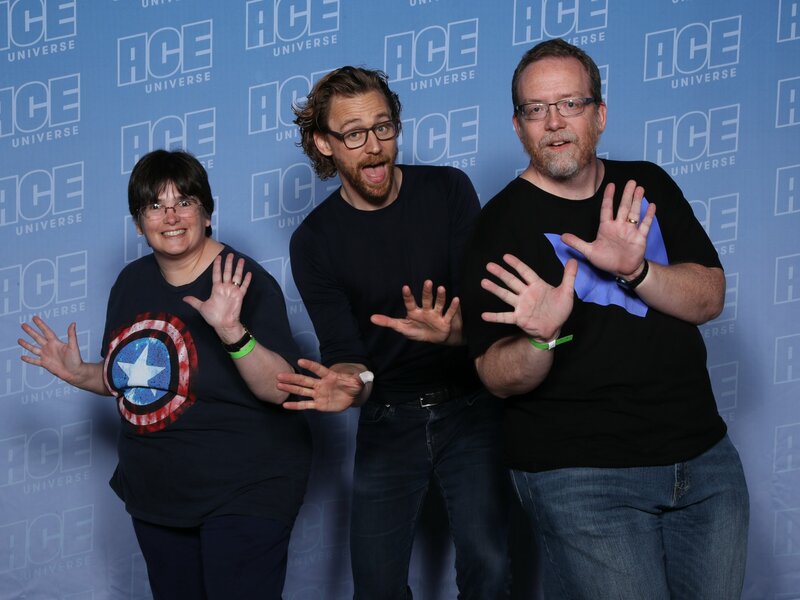 We previously compiled collections of our first three years of jazz-hands photos (including one that was once used in Wizard World Chicago advertising materials), followed by a complete roundup of our 2017, the year we attended way too many cons for our own good. We didn’t expect 2018 to resemble 2017, but in tallying up the results it struck me that we had a pretty decent — and, if I may say, jazzy — year after all. After the way our past two months have gone off the rails, we’re confident 2019 will be dramatically scaled back whether we like it or not. While we’re working on finding ways to make austerity measures entertaining, please enjoy the following clipfest starring a plethora of talented folks who have impressed us in movies or on TV who were willing to play along with all that jazz. HorrorHound Cincinnati: Julie Benz from TV’s Angel, Dexter, and Syfy’s Defiance. 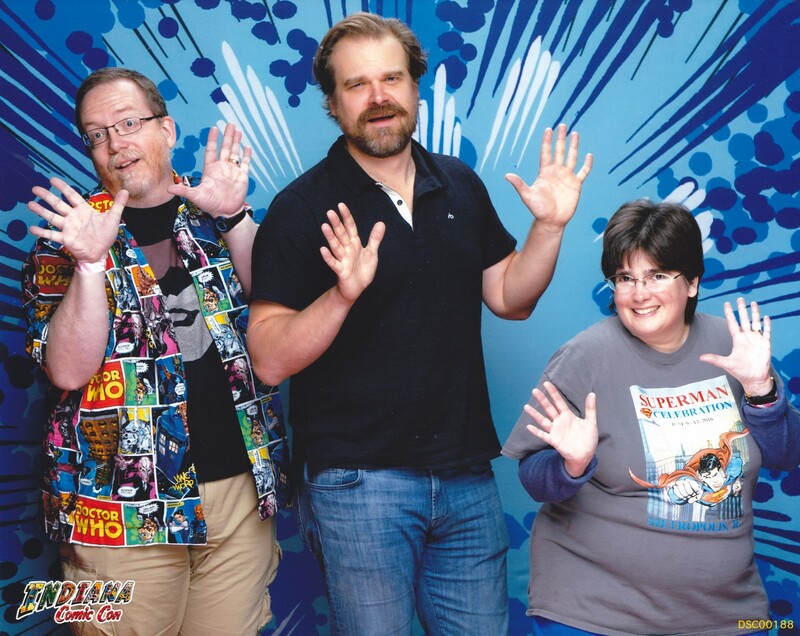 Indiana Comic Con: “Yeah, we can go back to my Broadway days!” quipped an exhausted and put-upon David Harbour, a.k.a. Chief Hopper from Netflix’s Stranger Things. 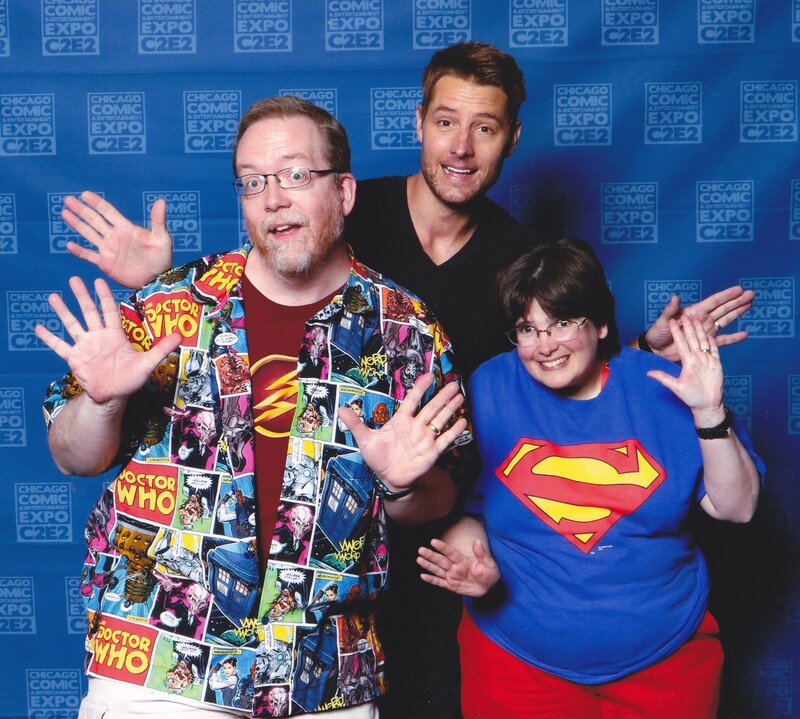 C2E2: Justin Hartley from the NBC ratings juggernaut This Is Us as well as Green Arrow from Smallville. A rare instance of a comic-con photo staff asking us to come back for a retake because something went wrong with our first one. 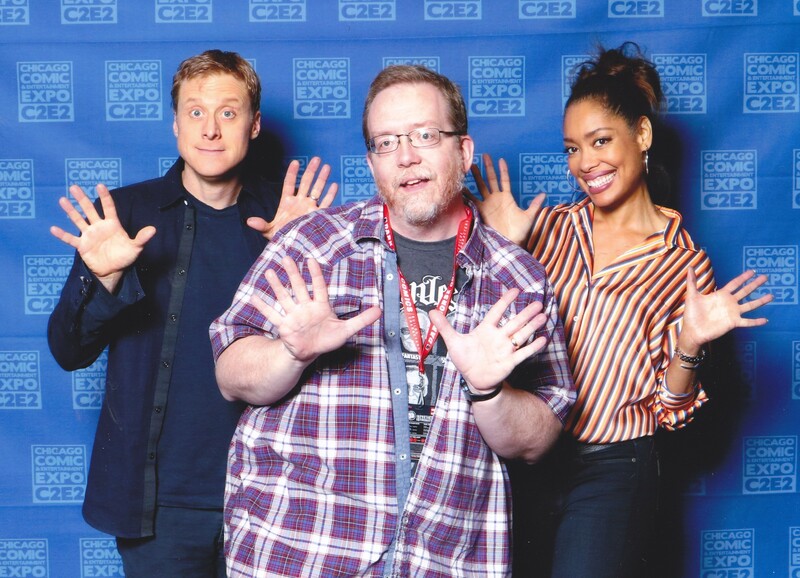 Also C2E2: former Firefly couple Alan Tudyk and Gina Torres, who later found bigger audiences respectively in Disney animation and in USA’s Suits. 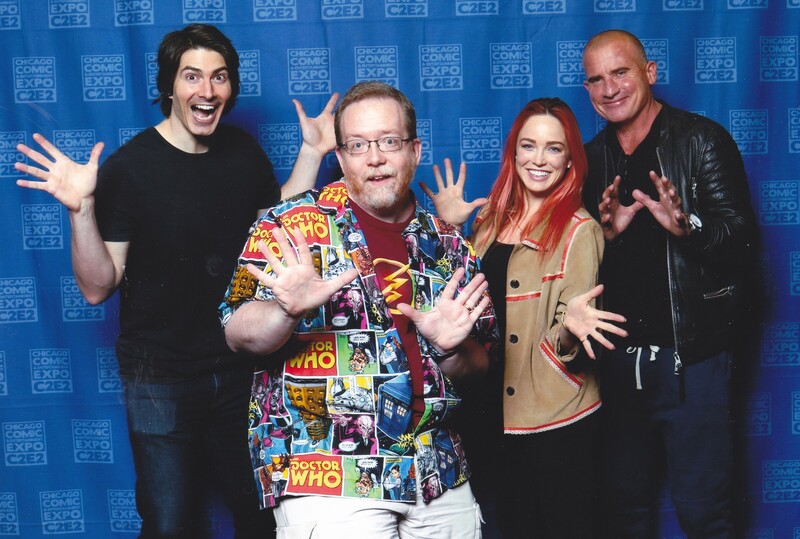 C2E2 yet again: Brandon Routh, Caity Lotz and Dominic Purcell from The CW’s Legends of Tomorrow, where jazz hands would honestly sometimes fit right in. Did I mention C2E2 was really good to us? Nowhere else in all of time or space will you ever see punk icon Henry Rollins workshopping his Cab Calloway impression. 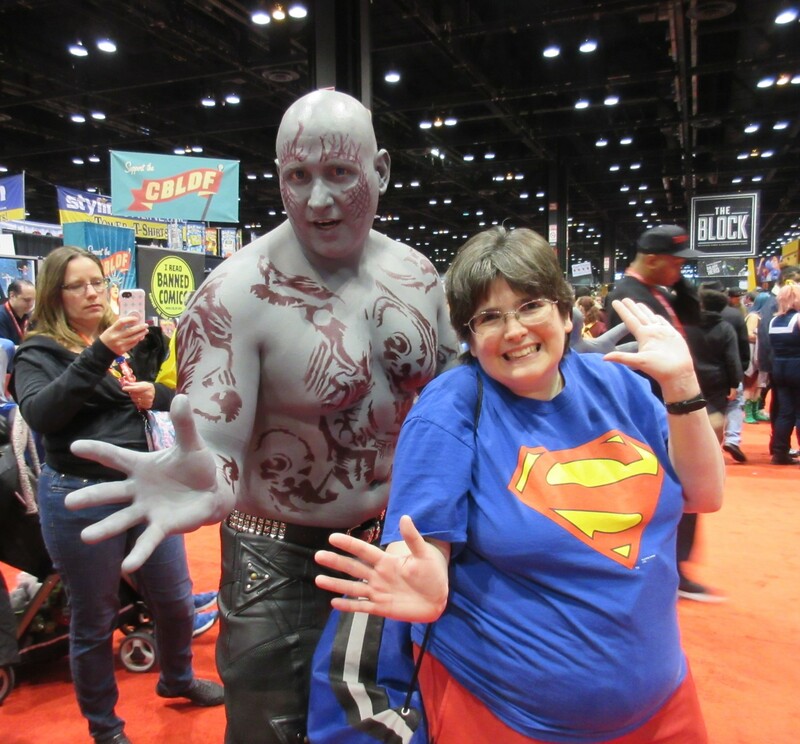 C2E2 extra credit: not actually a celebrity, but an awesome Drax the Destroyer cosplayer we know. We’ve grown accustomed to his face. 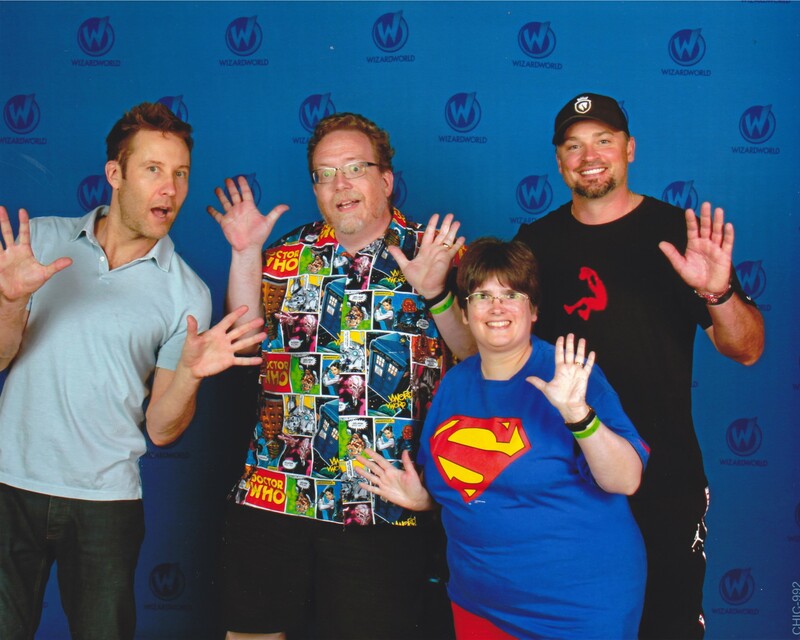 Wizard World Chicago, our most stressful con of 2018, also produced the lousiest camera work for Smallville costars Michael Rosenbaum and Tom Welling. Unlike some cons, they charge extra for the digital copy, so we’ll never know if this was a printer issue or a crappy, possibly drunken photographer. 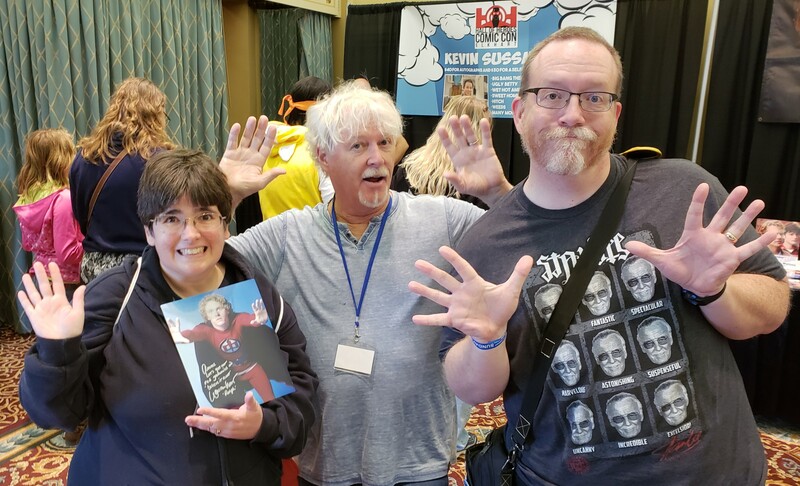 Hall of Heroes Comic Con: William Katt formerly The Greatest American Hero, who was once in a production of Bob Fosse’s Pippin and is one of the only five famous folks we’ve ever met who got our benign oddball request and called it by the proper phrase “Fosse fingers”. 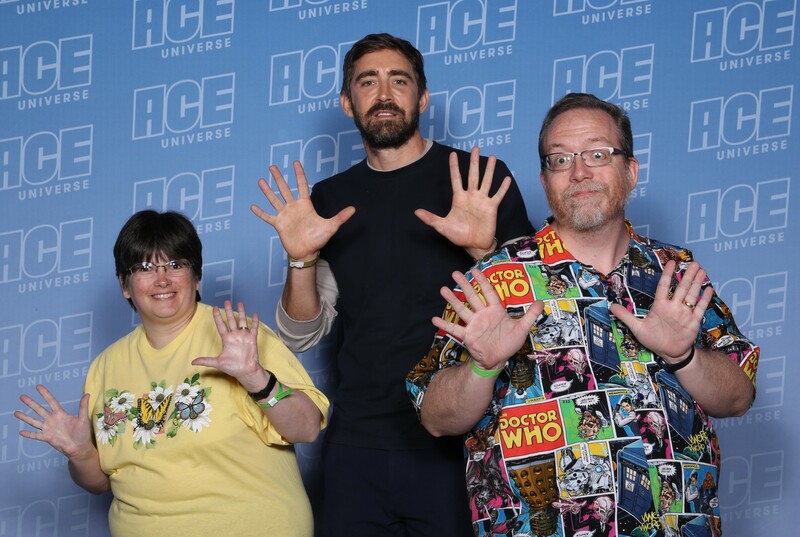 Ace Comic Con Midwest on Chicago’s Navy Pier: our big moment with Lee Pace from Pushing Daisies and The Hobbit and Guardians of the Galaxy, from the Department of How I Wish We Could’ve Done a Retake. 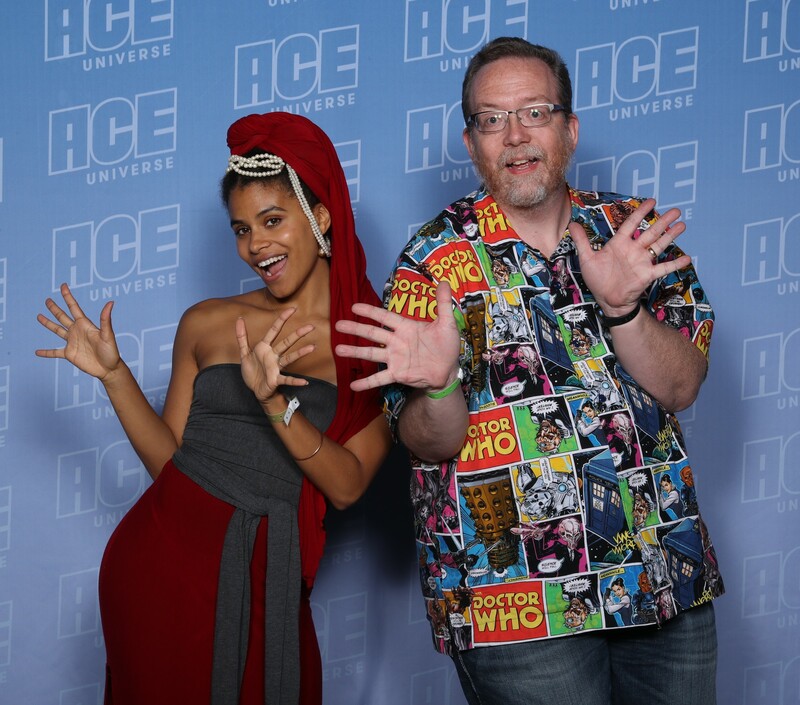 A moment of pizzazz from Ace Midwest with Zazie Beetz, costar of Donald Glover’s amazing Atlanta and the box-office-friendly Deadpool 2. 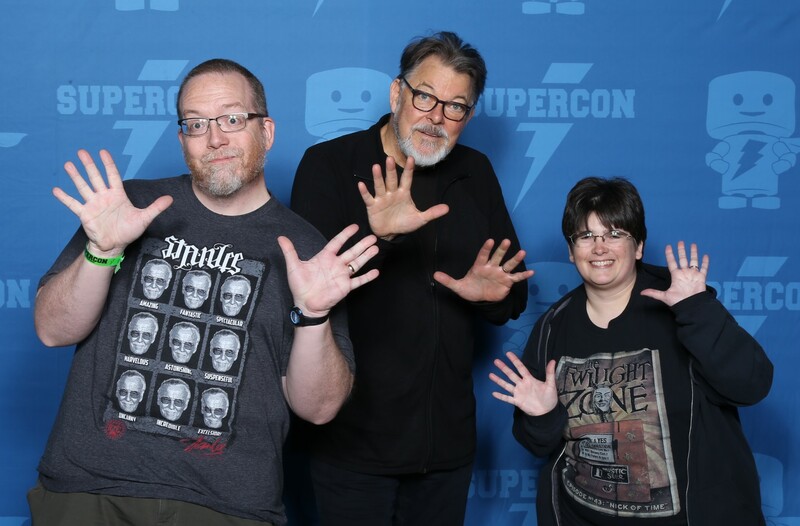 Louisville Supercon: TV/film director Jonathan Frakes, a Starfleet officer in a previous life. 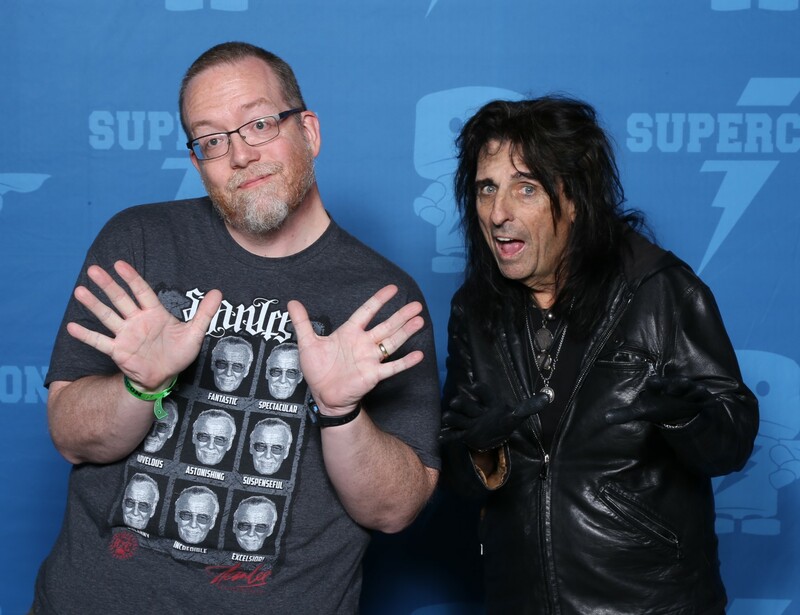 Also from Louisville Supercon: superstar Alice Cooper became the fifth member of Team Fosse Fingers. …and that’s the year that was, jazz-hands-wise. I’ve also been keeping a dedicated Pinterest board collating all our jazz hands to date — 56 photos and counting as of today. To be honest it’s the only real use I’ve found for Pinterest so far. I considered creating other MCC collages there, but I’m not sure there’s a demand, need, or whimsical reason to expand my Pinterest interest yet. March 22: C2E2 in Chicago. April 11-13: Star Wars Celebration Chicago, their first time in the Midwest since SWC 2005 in Indianapolis. August 29 – September 1: our first DragonCon in Atlanta, which we’ve been considering for years and believe the time has come at last to put up, not shut up. Events we’re keeping an eye on but haven’t committed 100% to yet unless someone wants to pay our way in advance: HorrorHound Cincinnati; Comic Con Revolution Chicago; the Superman Celebration in Metropolis; Indy Pop Con; Hall of Heroes Comic Con (who’re presently updating their Facebook page more than their site); and next November’s Louisville Supercon, whose extremely early guest list already tempts me deeply. Events we’ve attended before but will likely be missing this year due to scheduling issues: Wizard World Chicago, HorrorHound Indy, Indiana Comic Con. Updates and new Fosse Fingers as they occur!